If you find that your children are spending more and more hours indoors, hunched over playing games on various devices, you may want to engage them in activities that would help them appreciate nature. A childhood that was as good as yours: For most adults today, our childhoods were spent playing group games outdoors. Summer vacations meant picnics, playing cricket in the field or enjoying a game of badminton in lusher environs. To help connect your children with nature and wildlife is a great way to grab their interest and helping them be more ‘present’. Classroom lessons on birds can be really boring. Bird watching sessions can really bring the lessons alive when kids get to identify different species of birds in detail and also learn about their habits and migratory patterns. Being in nature and looking at animals has proven to be an enriching experience for children. They are trained in the dos and don’ts of animal spotting and they really learn to respect nature by witnessing it before their eyes. 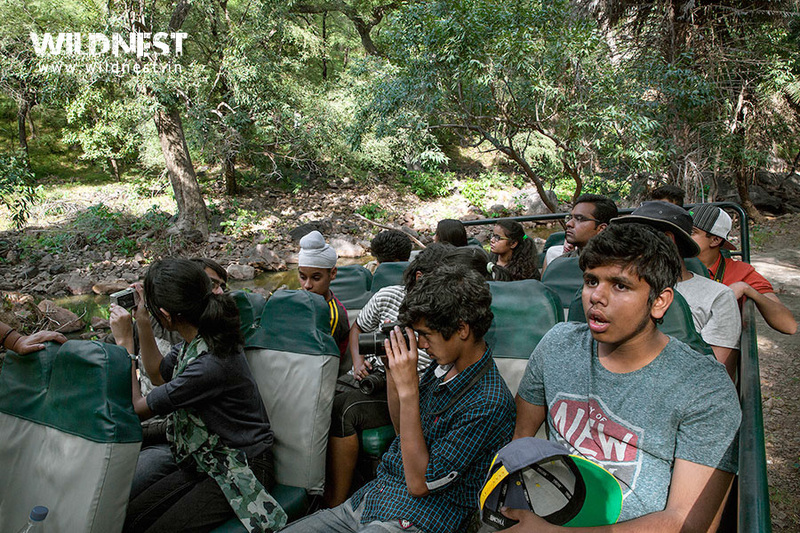 A wildlife tour is much more than just staring at animals like in a zoo. It is a 360 degree experience where your children will get to interact with the local people of surrounding villages and understand the dynamics and challenges of village life. Such experiences are essential to develop a better understanding of people and for overall character development. Getting your child to actually build something with their own hands is quite an experience for them. Not only will they learn to appreciate the complexity of building something, but it will also bring about an appreciation of different textures and elements used in handicrafts which are mostly from nature itself. Having a little science project where children get to go on nature walks and collect samples of flora and fauna is unparalleled by anything else. It’s the simple things that bring about the joy of learning and going on group walks is a great way of doing just that. Story-time comes alive with group story-telling sessions that will help jog your child’s listening skills and creativity. Cooking is an important survival skill that many learnt at a young age, by preparing local food, children can learn to savor and enjoy their creation and also develop an appreciation for home cooked food too! This is a great opportunity for kids to get their hands dirty and actually build something utilitarian from the simple elements of earth and water. A well-rounded wildlife tour can also include short trips to nearby monuments that can help your child learn about the area’s history. Such trips are helpful in building mental references for further classroom learning. City kids are mostly interacting with their classmates and they rarely get to meet children from all walks of life, interactions with local kids can help build their perspective on life and help them become more understanding of challenges faced by other children. An ex-banker turned digital entrepreneur. As a banker, she enjoyed writing on financial topics for her employer bank's newsletters. She then continued to write as a freelancer during her various entrepreneurial stints as it gave her a platform to learn, express and hence grow as a being. Her MBA degree from Narsee Monjee Institute of Management Studies with marketing specialization, along with her power packed marketing experience in the corporate environment, helps her appreciate the power of content in the business world. She is a foodie and loves exploring new eating joints with her friends and family!